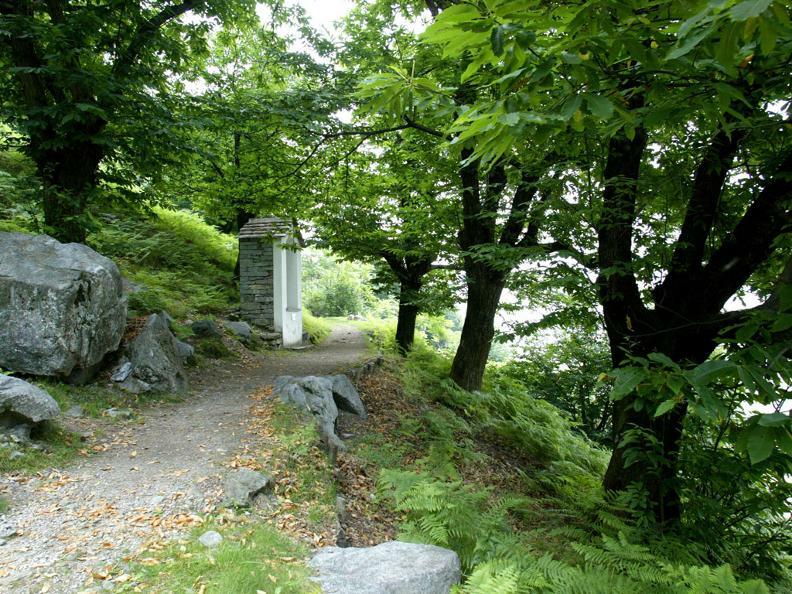 The Via Crucis (way of the cross), is set at the foot of an impressive rock face near Biasca as a reminder of events that have left their mark on Ticino and its history, as well as a lasting link with religious tradition. The walk through the surrounding chestnut woods starts in the car park at the parish church of San Carlo (early 19thC). If you raise your eyes towards the mountain while in the car park you can't help noticing the bulk of the Romanesque church of ss Peter and Paul (12th-13thC), the old parish church . 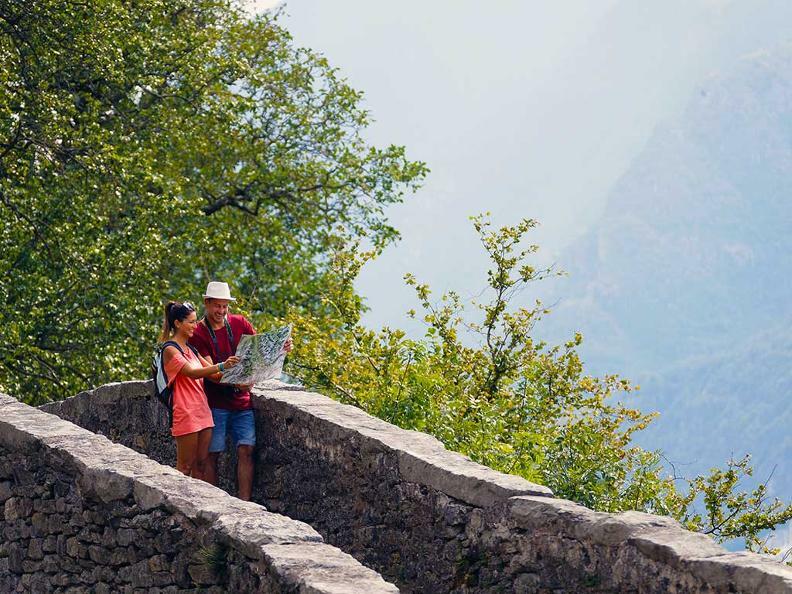 A stone stairway will get you there in a few minutes - just follow the signs. The key can be obtained inside the church of San Carlo. 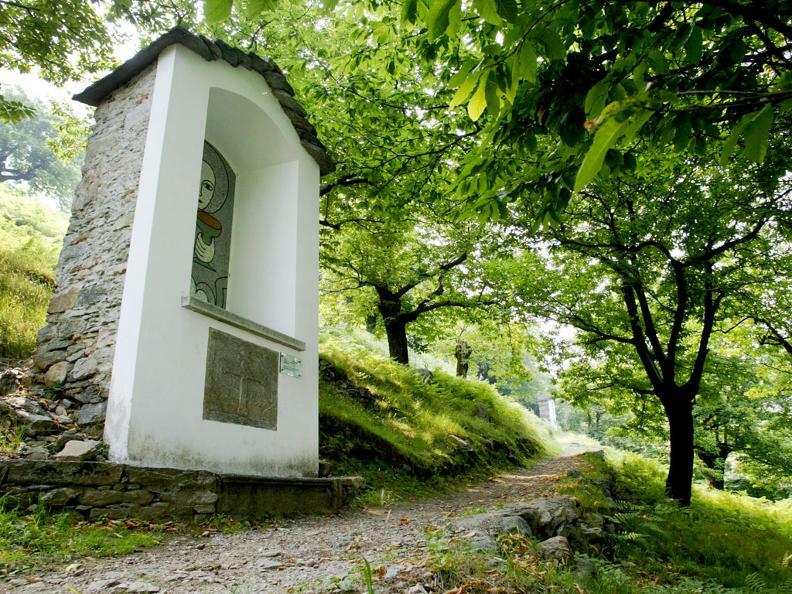 After a look at the church, set off through the woods and the Via Crucis which starts from the old 18th C cemetery . 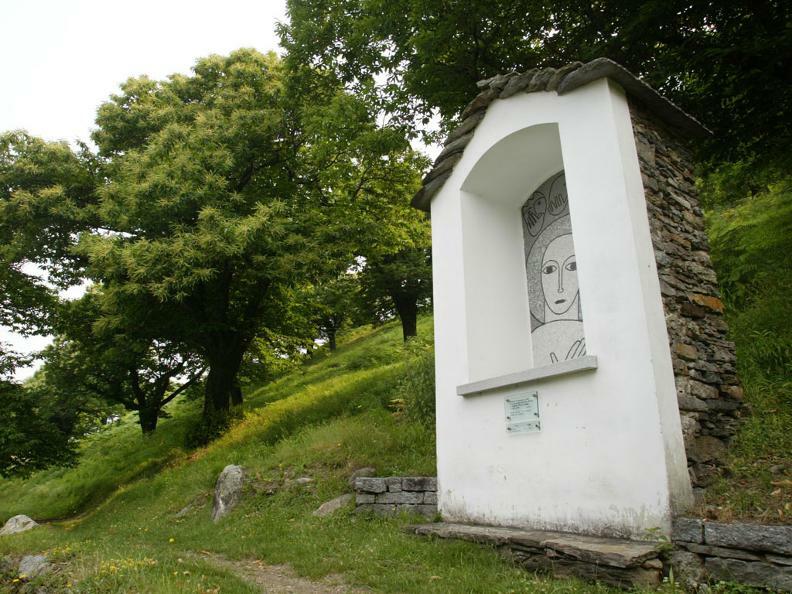 The stations of the cross date back to 1742 (restored 1998) and consist of 14 shrines set among delightful chestnut trees. The land is owned by the 'patricians' of Biasca. All the trees are registered and numbered and the owner has the right to the nuts from his particular tree. Just past the seventh station you can still see traces of the old aqueduct etched into the rock on the side of the mountain . 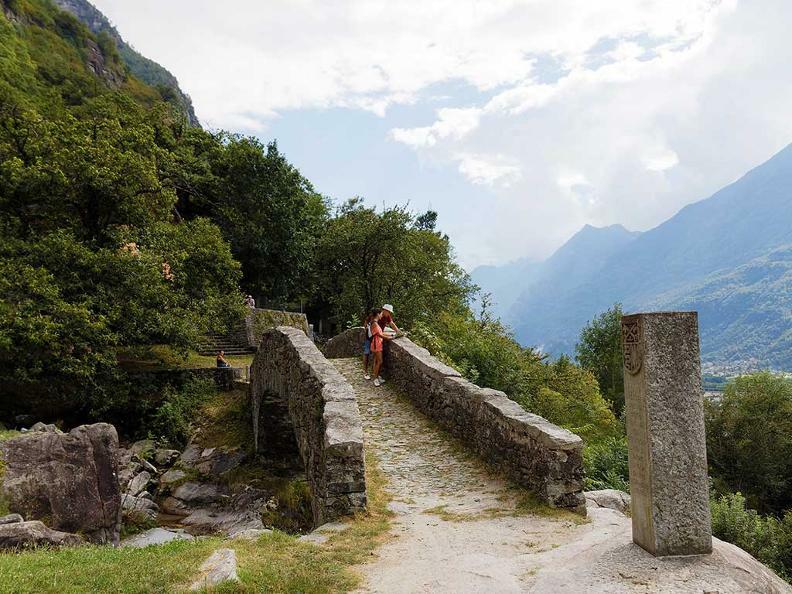 This aqueduct used to carry water from 'Froda' (which means waterfall in local dialect) to Biasca; between the tenth and the eleventh stations there is an impressive dry stone wall which borders an old granite quarry. 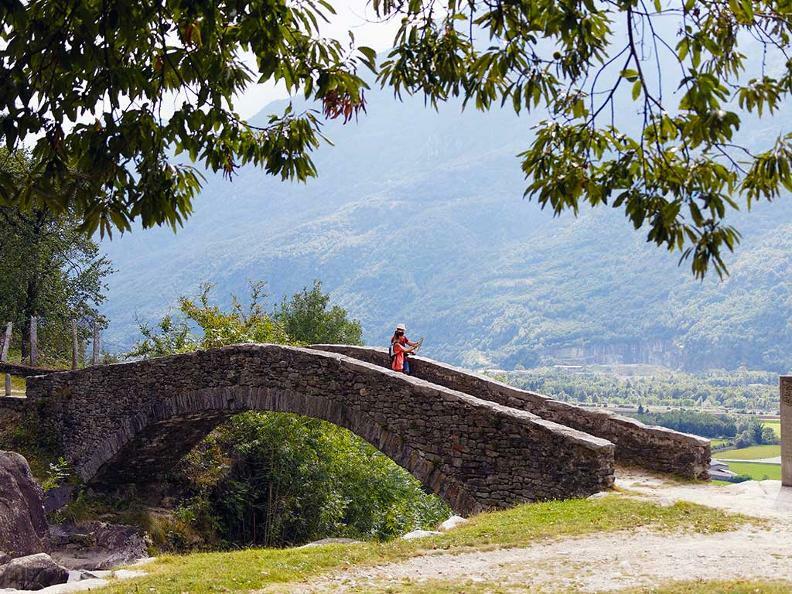 At the end of the stations you will come to a charming stone bridge over the 'Froda', which will take you to the 17th century oratory of Santa Petronilla (early 18th C); for the key call the parish of Biasca tel. 091 862 17 02 Above the oratory there is a short piece of flat land which you can reach by following a steep path near the falls. You can still see what remains of what was known as 'Castello degli Orelli'. 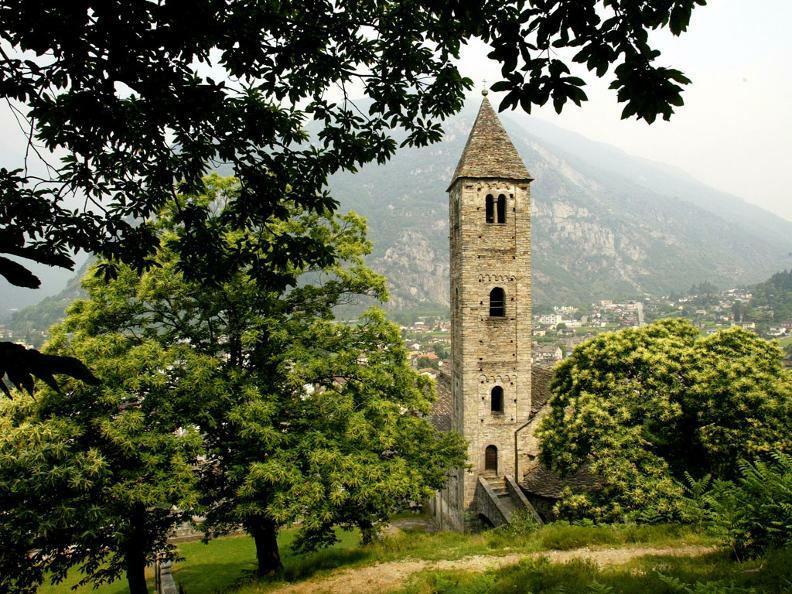 The itinerary ends by taking you back to the church of San Carlo along a surfaced road. The church has a dominant position in the village. The church is of Romanesque origin (XII and XIII).